Double glazed uPVC windows are extremely versatile designs that can be used in virtually any home. Coloured and foiled wood-grain uPVC window frames bring even more diversity to an already extensive range of design options. With slimline profiles that are energy saving, contemporary double glazed windows in uPVC offer homeowners one of the most comprehensive combination of features in the market. 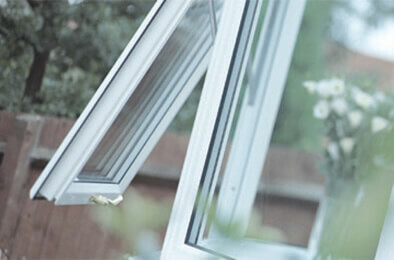 The use of uPVC (or PVCu) for double glazing windows is widespread in the UK. But exactly what is uPVC, why is it a good idea to use it for windows, and what type of uPVC windows are there in the market to choose from? What is a uPVC Window? 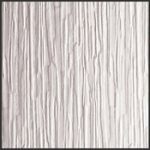 PVCu, uPVC or PVC-u, is an abbreviation for Unplasticised Polyvinyl Chloride, a long name for what is, in effect, just vinyl. Long profiles, or sections, are manufactured by injecting liquid PVC through precise moulds or dies, then quickly cooled and cut to size. Once cut to the size required, the sections are joined together to form the window frames. These frames are heat welded together (or use metal connectors) on the corners and in some cases internally reinforced, where necessary, with galvanised (rust proof) steel or aluminium. The profiles themselves are made to have chambers within them. 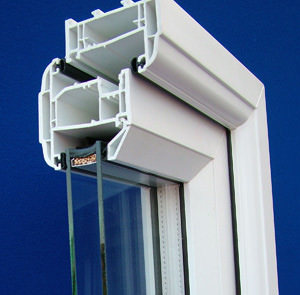 Modern Upvc profiles feature multiple chambers within the structure. 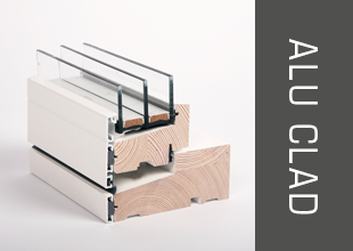 These multi-chambered profiles aid both strength and energy efficiency. Why is it a good idea to use uPVC Windows? The performance of uPVC as a construction material for windows makes it almost perfect for the job. The ease of manufacture and wide distribution network also brings a large amount of choice to the market. That means homeowners can readily find a uPVC window that suits both their property and their budget. What type of uPVC Windows are there in the market to choose from? There are quite a few options in terms of appearance, function and finishes for these types of windows and we will address each in turn. For the sake of keeping things simple, you can say that there are four major design types of double glazed window. Each of these types of window can be easily differentiated by two features; how they look and how they function. Sash windows open & close by sliding vertically within the window frame. 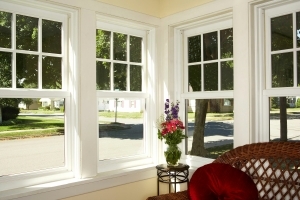 Classic designs will use counter-weights on sash cords to support the window. A modern way is to use springs instead of the counter-weights, which can allow slimmer frames. This type of window is famous for being a “double opener”. It features two casement sections fitted side by side within a single frame. The side-by-side windows open from the centre either outwards or inwards. Larger versions are also called French doors. Broadly based on a casement window, the opening section is hinged at the sides which gives the “turn” element. 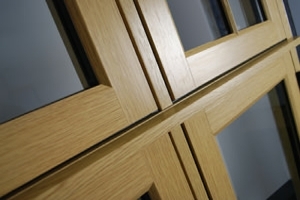 A specialised hinge allows the opening section to tilt backwards into the room (to a mechanically limited safe angle). This design always opens inwards. 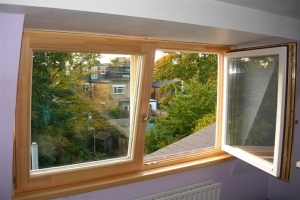 Casement and sash designs also feature in bigger window installations such as Bay or Bow. 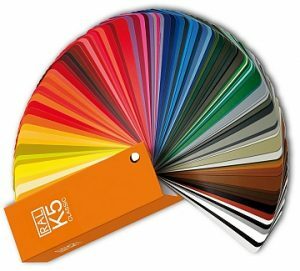 For those who want to take advantage of coloured UPVC windows there are around 10 to 15 variations that most suppliers would be able to produce. 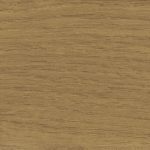 The colour itself is created by a process known as Foiling, which permanently bonds the colour during the manufacturing process and therefore ensures the colour does not fade, crack, peel or otherwise deteriorate over the lifetime of the window. 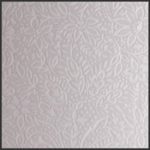 For the parts of your home where you require some degree of privacy, you can select obscure, frosted or patterned glass. 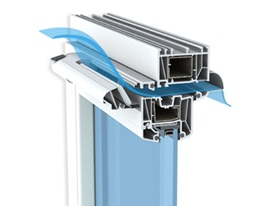 The window should be double glazed as a minimum and to further improve the energy saving characteristics there are options for sealed units that go up to 28mm, which are made from 2 x panes of 4mm thick glass and a 20mm separation gap. In this gap you can elect to have an inert gas, typically Argon. Argon gas filled sealed units will greatly increase the energy efficiency of the unit, but will add to the cost. The glass itself can be further modified to improve insulation by adding a microscopic layer of metal oxide and is commonly marketed as “low-e” or low emissivity glazing. The cost of any particular type of uPVC windows is going to be based on primarily the size of the window, the energy efficiency rating plus any “extra’s” such as wood-grain finishes, special glazing etc. You can expect to see a difference of about 10% to 15% between the cost of a white uPVC window and a coloured or wood-gain version. uPVC casement window prices can range from £200 for a 600 x 900 mm single window, to around £300 for one sized 1200 x 1200 mm. Labour and fitting costs can vary so you can expect to see fluctuation. A full house of up to 12 uPVC casement windows can be from £4,500 to £6,000. 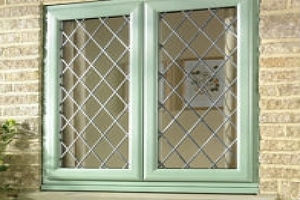 French windows in uPVC sized 500 x 1000 mm would be approximately £450 to £500 and one sized 1200 x 1000 mm around £500 to £600. 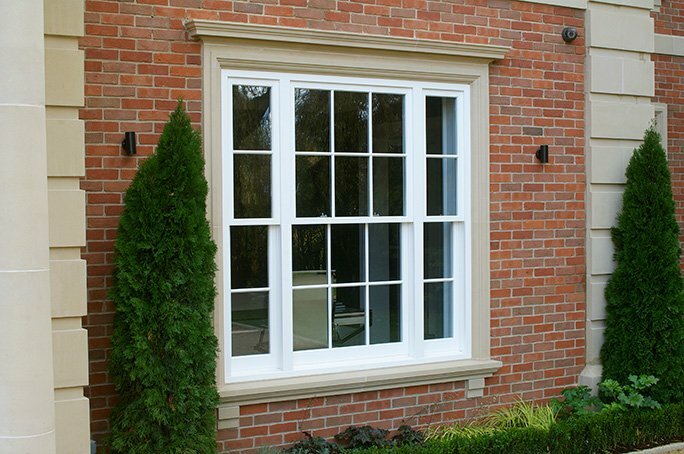 uPVC Sash windows prices can start from £200 for a 600 x 1000 mm unit, without fitting, up to around £300 for a 1500 x 1000 mm unit, also without fitting. uPVC Tilt & Turn windows supply only units will be priced in the region of £250 for a 900 x 1000 mm unit and £500 for a 3 panel version sized at 2400 mm wide x 1200 mm height. 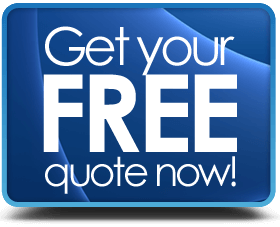 You can check out our double glazing prices page for an extended guide to costs, but the only way to know for sure is to get a written quote from a professional double glazing contractor – which you can request from us by clicking on the button to the right. Do I need planning permission for new windows? Generally no. However if you live in a listed building or an area of outstanding natural beauty (AONB), then there could well be restrictions on what you can or can’t do. If you are just doing a repair, then there is probably no need to worry about this (replacing glass or repairing frames). 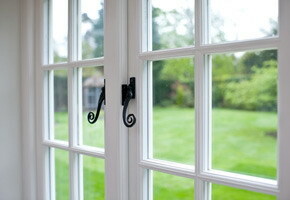 But new or replacement windows do have to comply with building regulations. A FENSA or CERTASS accredited installer can certify them for you. Otherwise you have to do the process yourself. Check out the UK Government planning portal here. If I buy coloured units, will the colour fade over time? The colour should not fade over time as it is bonded into the frames by a process known as foiling. It is not something that peels off. 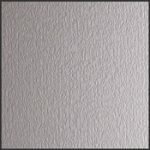 The colour foil is designed to be non reactive to things like UV light that would otherwise lead to colour fade. Yes they are guaranteed. They usually carry a 10 year warranty as standard. 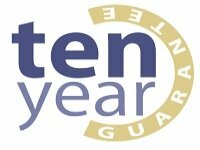 Always confirm the details of warranties in writing with your supplier / fitter. 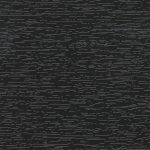 Will my installation be guaranteed? Yes, but workmanship warranties are supplied by the installers and are dependent on their individual terms. Always check beforehand and get the terms in writing. If you use an accredited installer (FENSA / CERTASS / GGF / DGCOS) you also get an additional method of redress & resolution if something should go wrong via the relevant Trade Association. 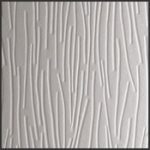 All our panel installers who quote are accredited professionals. How long will it take to fit the windows to the whole house? There will be variation from job to job, but a straightforward installation can be done for a 3 bed semi in 3 to 5 days. 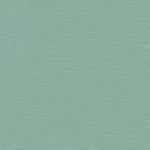 – check out the latest price guide. Have your windows fitted by professionals – look for these trade accreditations.